Burnout in the Netherlands: Where are the challenges? The Myers-Briggs personality test: Should you still use it? What can penguins teach us about energy consumption? We create assessment solutions that improve the functioning of people, organizations, and society. All our solutions are based on solid scientific research. 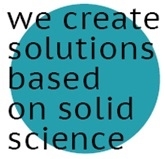 For each solution we create, we consult the literature, evaluate current scientific knowledge, and provide the best solution that science has to offer. We also teach you how to use the solution. Our solutions are cheaper than competitors’ because our overhead is low and because we are driven by ideals rather than profit. We want to see social social being implemented in practice. Our solutions are also more efficient than competitors' because they are based on solid science. Our solutions come directly from science, rather than from commercial research.